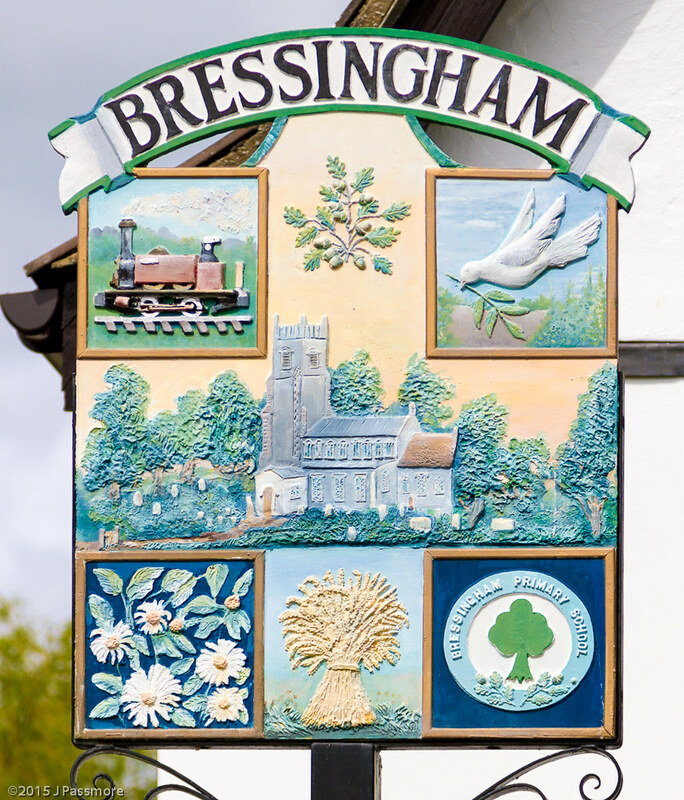 This town of Bressingham was given by Osulph le Sire, and the lady Laverine, or Leofrine, his wife, to the abbey of St. Edmund's in Bury in about 963. By the time of Edward the confessor, the abbey owned slightly more than half the town; the rest being owned by Almar, the Bishop of Elmham. Almar's part was also a manor, and held in William the Conqueror time by Roger Bignold. The town was then two miles long, and a mile and a half broad, it extended at that time into Shimpling, Fersfield, Shelfanger, and Roydon. At the sign you will find a bus stop with a number in the bottom right hand corner.